Does Environment Minister Lowe Pee in the Shower? He should… and so should you! There is one thing that all of us can do right now that saves thousands of gallons of water a year in each home where this water saving technique is used. We can pee in the shower every morning instead of using a gallon of water to flush a tiny bit of urine down the toilet. How much water can be saved? Lots and Lots! Walk to your front door right now, stick your head out and take a look at all the homes around yours. Let’s see – there’s three people in that home, two in that one, four in that one – and each morning most every person flushes the toilet and then heads for the shower. Add it up just on your street: number of people X 1 gallon of water X 365 days. Now think of the entire country and say that only 10% of the homes were “pee in the shower” members. That’s still a huge amount of water saved. Bohemian Revolution: Pee in the shower to save water. How About Some Leadership from the Thompson Government? The stakes are high, the drought is coming and this one simple step has the potential to save millions of gallons a year in Barbados. Yup, peeing in the shower sounds icky and it probably offends the Victorian sensibilities of some politicians in the DLP government – but it is a simple step that could be very effective nationally if folks were convinced of the need. Will Environment Minister Denis Lowe now come out publicly with a statement that he pees in the shower? Will he encourage everyone to do the same? Over to you, Minister Lowe! April 9, 2006: Can Barbados Pee It’s Way To More Water? Woe is me! Alone on a Saturday night with no plans to party and a dead phone. I’ll share a few things I’ve come across lately. I love the spontaneity and unpredictable pathways of the internet, don’t you? One moment you’re reading the news headlines at Drudge or BBC and you see something in the sidebar. Three clicks later you’re watching a YouTube video posted by some Filipino kids out of San Diego, California and they are so fine and real and talented that you go through about five of their videos and hope they make it big someday. Then a click or two later and you’re reading about how if everyone peed while showering in the morning it could cut a town’s water consumption by 20%. Someone did a study on that. Here are a few of my recent surfing stops on the ‘net. Have a look and if you feel like posting a few of your own, well, that’s what the comments are for. Stop #1: Zandi & Justin – Two Filipino kids out of California recording songs in mom’s kitchen etc. Zandi De Jesus, Justin Crisostomo and sometimes guitarist Mu Hua are ZSOS Music. Everybody has multiple gigs going and you can do some searches to find each of them on Twitter, Facebook, MySpace and the rest of the standard places. Essex fly out to Barbados on 12 March and will return on 25 March, in time for a two-day friendly against Worcestershire in Chelmsford six days later. Stop #3: Barbados Sea Turtle Project needs volunteers! Hey all you students in North America and the UK (or anywhere if you speak English), here’s your chance to spend some time in Barbados working as a field volunteer with other like-minded people trying to preserve and document the Caribbean sea turtle population. The job pays only a stipend but shared accommodations with cooking facilities are provided. You’ll have to tap out mum and dad for the airline ticket to Bim, but you’ll find some pretty low airfares for the summer season. 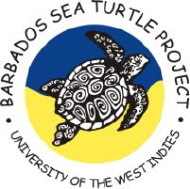 The Barbados Sea Turtle Project is based at the University of the West Indies (Cave Hill Campus). For the last 20 years, we have been involved in conservation of the critically endangered marine turtle species that forage around and nest on Barbados, through monitoring and conservation of nesting females and hatchlings, research, education and public outreach. Barbados is currently home to the second-largest hawksbill turtle nesting population in the Wider Caribbean, with up to 500 females nesting per year. Turtle nesting occurs on most of the beaches around the island, many of which are heavily developed with tourism infrastructure. The Barbados Sea Turtle Project monitors an index nesting beach nightly and operates two mobile patrol groups that monitor up to 15 other nesting beaches per night. The mobile groups also respond to public reports of turtle activity made through the 24-hour Sea Turtle Hotline. Professor Julia Horrocks, the director of the Barbados Sea Turtle Project, is the Country Coordinator for the Wider Caribbean Sea Turtle Conservation Network (WIDECAST) in Barbados, and coordinator of the regional WIDECAST Marine Turtle Tagging Centre. You will be required to patrol beaches along the south and west coasts of Barbados from 7:30 pm to 4:00 am, six nights per week (i.e. one night off) for the duration of your time as a volunteer. During beach patrols, you will be required to record nesting/hatching events, tag nesting females, and to collect morphometric data and environmental data with a high degree of accuracy and reliability. You may also be required to rescue disoriented hatchlings and adult turtles, undertake relocations of nests laid in unsuitable locations and educate the public and tourists about marine turtles. Sea turtles often nest in front of hotels, and therefore are highly visible to the public. Ensuring the safety of the nesting female, collecting data, and answering questions are all aspects of a BSTP patrol. Yes, the volunteers patrol in the daytime too and always in groups for safety and fun. Further information and applications can be had at the Barbados Sea Turtle Project website and the job posting at the StopDodo environmental job website: Field volunteers required for nesting beach monitoring programme for hawksbill turtles. Nicole decided to count the number of buckets used to wash Matilda (that’s her photo above – ah, Matilda not Nicole) and counted the number of buckets of collected Rainwater used. It came to 9.5 5 gallon buckets. (She was well washed!) Thats 177 litres to wash one car if potable water was used. Think about that one a country wide level! What’s Happening at the Future Centre in February? Barbados Corporation implicated in US$200 million Ponzi scheme. How will our government deal with David Krywenky? According to the Star Tribune of Minneapolis USA, Kingz Capital Management Corp. is a registered commodities trading adviser and commodities pool operator in Barbados. A simple Google search reveals numerous articles talking about Kingz involvement in several “gone wrong” investment schemes that took in hundreds of millions of dollars – that apparently vanished. At Barbados Free Press our questions are: 1/ What is Barbados going to do about it? 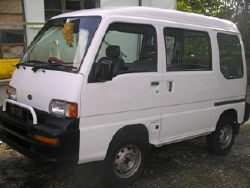 2/ What laws does Barbados have at its disposal to prevent or to deal after the fact with occurrences like this? Jan. 28–A Canadian-based commodities trader affiliated with embattled Minneapolis money manager Trevor Cook has agreed to give up his trading rights for three years in response to a complaint that accused him of letting Cook — who is not a registered trader — take control of an offshore currency investment pool. Investors looking to recover their money from a suspect currency investment program have a new, $300 million trail to follow into Canada. Regulators are quietly pursuing a complaint against a Toronto commodities firm and one of its executives, alleging they helped Minneapolis money manager Trevor Cook facilitate the currency trading program. The $300 million that passed through the Toronto firm — KINGZ Capital Management Corp. — is the largest chunk of money found so far in the still-unfolding case, which drew investors from across the United States and several other countries. They have been unable to withdraw their money from what many were told was a Swiss-based currency trader since at least early July. Thanks to BFP readers A & R for tipping us to the story! While I fully understand all the fiscal restraints Government currently has and the historical and possibly political desire to complete the recently re-named Lloyd Erskine Sandiford Conference Centre, I would like to propose a second option. There is no doubt that Trinidad and Tobago stole a march on the Southern Caribbean by constructing a new conference facility and an adjacent first class hotel. It’s no secret that most people attending conferences, for all sorts of reasons, want to stay close to where the event is taking place. The very last thing is they wish to endure is to spend indeterminate amounts of time fighting with rush hour traffic to reach where the function is taking place. For whatever reason, ‘we’ missed a golden opportunity with the construction of the Hilton. 354 rooms, but not one large enough space to host major exhibitors and trade or consumer shows. In hindsight it would have been so easy to have incorporated a single meeting area on one level of at least 10,000 square feet. Whether it was rooftop, basement or even formed part of the car park! Needham Point still offers one of the most desirable locations for further development and if we seriously want to maintain and attract further airlift year round, this is our chance, even during a recession. The former refinery land could be used and the barracks together with other buildings currently used by the Royal Barbados Defence Force be tastefully incorporated while protecting their architectural heritage. Even the derelict pier could be transformed to provide a spectacular waters edge restaurant. Much discussion has taken place over the years about the proposed Pierhead development, and I am still in full support of this project to help revitalise historic Bridgetown. Not only would it to attractive to long stay visitors but also within easy walking distance of the quoted 700,000 cruise ship passengers entering the port each year. I believe that the development of Needham Point into a major conference and event centre would provide the catalyst to ensure that Pierhead becomes a viable project. Restaurants, shops and other facilities generating valuable foreign currency! The chairman of one of our major construction and development companies recently stated that it was time to put back. Could his company together with others in partnership with Government make a world class conference facility a reality? Very few of the above are new ideas. Many have been voiced before. But now is perhaps the time to turn the concept into reinforcing the viability of our entire tourism industry. We are told that his reason for resigning is the breakdown of negotiations for his compensation package. Our governments have a serious track-record of agreeing and then secreting the terms of compensation for its high-fliers. Just think of Caribbean Airlines, PetroTrin and UdeCOTT. It is unbelievable that government was unable to agree terms with this one CEO. Arguably, Mr. Bideshi was heading the largest and most complex group within the State’s control. Carballo had the unique position of being the only senior executive to survive the crisis at the group and keep his position. We were not given any reason for his departure, but we were told that Carballo is to continue acting as a Director on CL Financial’s Board. Newsday Disaster: The future of Barbados internet news? So after three months, how many paid subscribers does Newsday’s website enjoy? I’m not sure what that means when the kind of talent you can hire for $4 million dollars produces that kind of results. They probably thought they had it all figured out. Undoubtedly they produced the projected growth charts with the little circles, lines and arrows to convince the bosses to invest big money – but how could they blow it so badly? Perhaps it means that the internet is still a crap shoot for news organisations. What does it mean for newspapers in Barbados? I guess it means that in a small market like this island, newspapers can’t expect any direct revenue generation from their web presence – at least nothing worth talking about. Maybe that’s why The Nation’s web presence has shrunk to a fraction of what it was only two years ago with the paper’s website displaying only a handful of articles compared to the printed dead tree edition. Maybe they don’t see the internet as being worth it. Google searches seldom if ever return Nation online articles anymore because the newspaper’s website is set up to block search engines. 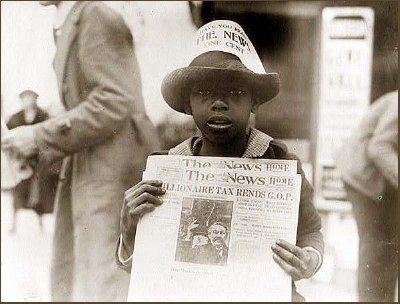 Similarly the Barbados Advocate publishes only a few articles online. The .jpg photos of the entire newspaper don’t really count because they are structured to prevent indexing by search engines. This means that the two largest newspapers have for the most part abandoned representing our country to the world on the internet. They leave this task and responsibility to other websites and the blogs. Once again, I don’t know what it all means, but it’s something to think about as we hear rumours of another newspaper being born in Barbados.